"It's May! It's May!," as Ms. Guinevere proclaimed in Camelot. This is something I discussed in 2011 here on Blogger, and if you'd like to refer to my entry, please click here. 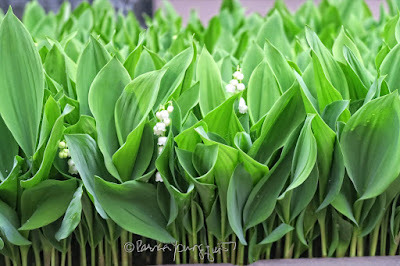 However, on this May 1st, I'd like to share with you some cool facts that I just learned about the flowers that are known as lily of the valley, which is the flower associated with this month. These flowers are featured in the image atop this entry in a photo I took of them springing up in front of a brownstone on the UWS of NYC. Evidently (according to Wiki), "On May 1, 1561, King Charles IX of France received a lily of the valley as a lucky charm. He decided to offer a lily of the valley each year to the ladies of the court. At the beginning of the 20th century, it became custom to give a sprig of lily of the valley, a symbol of springtime, on May 1. The government permits individuals and workers' organisations to sell them tax-free. Nowadays, people may present loved ones either with bunches of lily of the valley." However, a sprig of this flower, may not prove to be a "lucky charm," for as a web-page related to flower facts points out, "all parts of the lily-of-the-valley are poisonous and is dangerous if ingested. 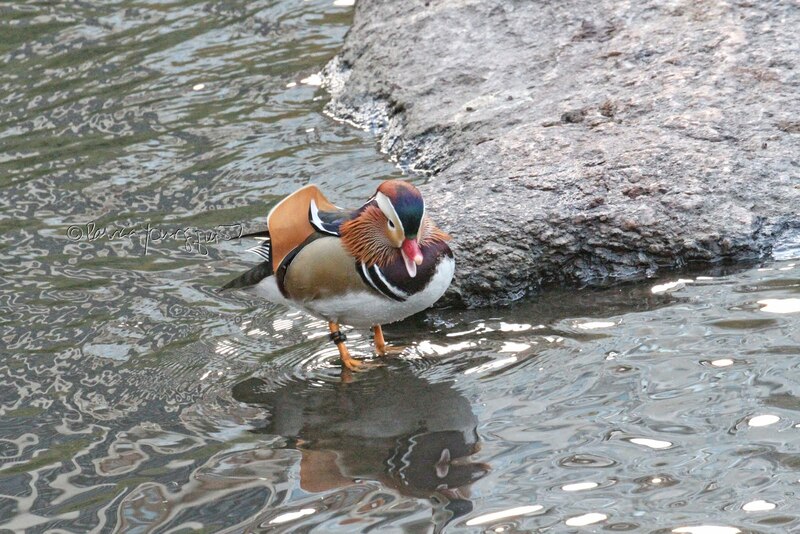 In the past, one of these toxins, convallatoxin, was widely used as a heart medication. The plant contains 3 glycosides; convallarin, convallamarin and convallotoxin. One of the most active natural substances affecting the heart is convallotoxin. It causes slow, irregular pulse rates and can cause heart failure. The plant also contains saponins which cause gastrointestinal poisoning." 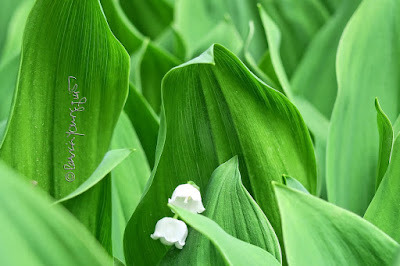 But, the aforementioned page also points out that "Lily of the valley is sometimes cultivated as a source of perfume. The leaves have been historically used to produce green dye. Teas and ointments from this plant are used for burns, fever and as a sedative and diuretic... Lily of the valley has the flower meaning of humility, chastity, sweetness, purity and is said to bring luck in love. It also means 'the return of happiness' which is the reason why it is often used as decorations in weddings. 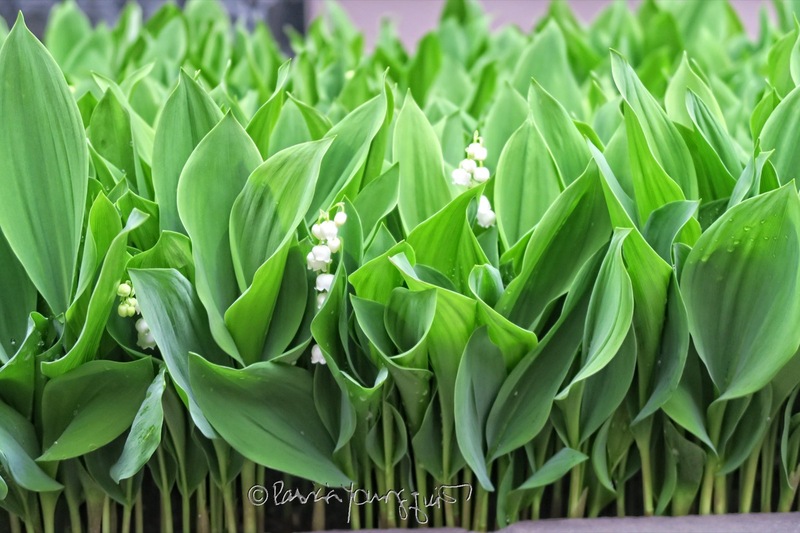 Convallaria majalis or lily of the valley usually bloom in the month of May. This May flower is also known as the May lily. The alternate May birth flower is the lily of any variety. Lily of the valley is native to temperate areas of Asia, Europe, and North America, where it grows naturally in woodland settings." And that's it for today, dear reader, except for me to wish you a merry, merry month of May! Climbing Roses Create Another Urban Hedge! 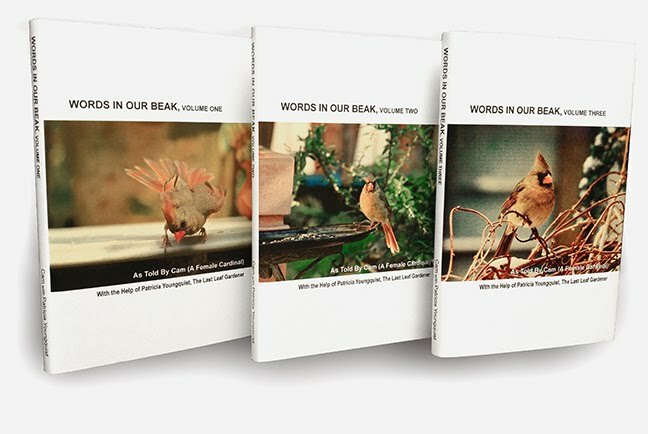 Today, May 4th, IS FOR THE BIRDS!